Break into Spring by partaking in Finger Lakes Wine Country Events during March and stay at conveniently located 1922 Starkey House Bed & Breakfast. A few rooms are still available at low season rates for two special wine trail events! Check special prices, room descriptions and availability HERE. Preferred Pairings Weekend - March 30 (last in series) A one-day event. 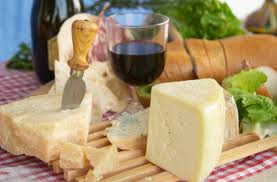 The Seneca Lake Wine Trail's newest series in weekend events designed to create a more intimate experience in wine tasting and locally produced cheeses from the farms along the Finger Lakes Cheese Trail. Demonstrations about the various cheeses and suggested pairings will be conducted to enhance your experience.